We open daily at 10:00am. What is a cat café? it’s all about Purr, Play and Sip. Very simply, humans and cats get to interact in a fun and cozy atmosphere. The felines are playful, relaxing, and adoptable. The humans are relaxed, entertained, and happy. Is the café accessible by wheelchair? Our cafe is indeed wheelchair-accessible! Visitors may enter through the front door, visit the cat lounge, and also enjoy our bar area since it is all on one level. How do the cat visitations work? Visitors are allowed 50 minutes with our house residents to play, cuddle, and sip. There is a visitation fee of $10 for weekdays and $12 for weekends or add a drink (beer, wine, coffee, tea or bottomless soda while you are in the room. Arrive about 15 minutes early to learn about the cats and grab something to drink or eat then get ready for the Purrfect experience. How does the café part work? We have an upscale wine bar separate from our cat room (to follow the health codes in Kentucky). You can order wine, beer, specialty drinks, and soft drinks. We also have coffee, tea, and yummy treats. You can take any drink you’ve purchased here into the cat room but they can’t come back into the cafe. It’s a one-way street. All of our food offerings come from local bakeries. What can I expect when I enter the cat room? Cats, cuddles, and purrs. We recommend simply sitting down and letting the cats come to you (don’t worry, they will)! The Purrfect Day cat room is where our adoptable kitties call home, and you can expect them to be doing all the normal activities they would do at your furever home; such as playing, climbing, eating and napping, lots of napping. Sometimes the cat room may be full of cat-action, and other times it may be all zen and quiet. There is plenty to enjoy in both scenarios. How is my participation supporting a cause? 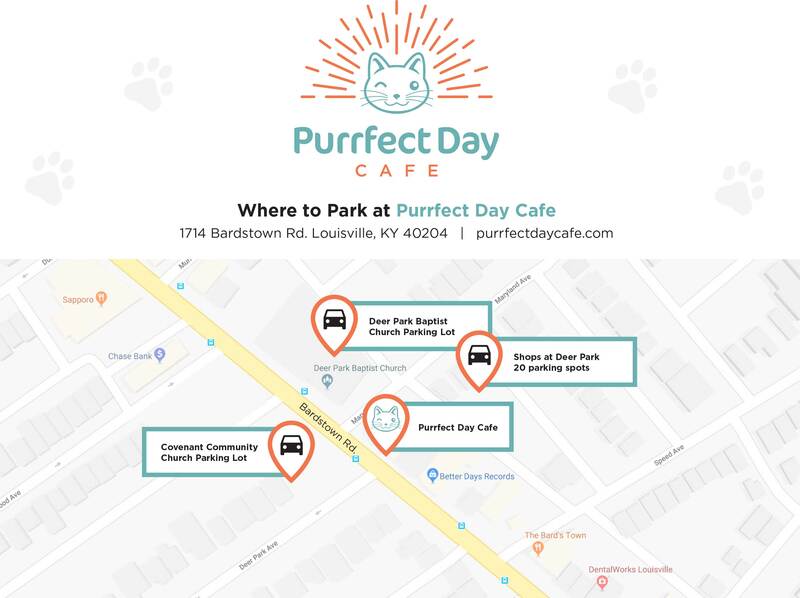 The cats and kittens at Purrfect Day Café are provided by the Kentucky Humane Society. We are a foster facility with the goal of changing the way adoptions happen. We offer the purrfect setting for humans and cats to find their purrfect match. CANCELLATIONS: You may cancel your session time up to 24 hours prior to your visit for a full refund. After that time, we are unable to refund reservations due to it keeping us from booking other visitors on short notice. Your booking receipt follows this message about our reservation policy regarding age. We would like to remind everyone that during our normal business hours minimum age to visit our cat room is 6 years old, with the exception of Tuesdays and Thursdays when all ages are welcome with a parent or guardian until 6 pm. Our cats need to feel super secure in their environment and know that everybody who’s chilling with them is chill as well. All of our guests in the cat room sign a waiver, and anyone between ages 6 and 13 must have a parent or guardian present and have that waiver signed for their children. If you need to cancel your reservation because your needs have changed OR because you have a child under the age of 6 and cannot visit us on Tuesdays or Thursdays before 6 pm, you may go to your emailed booking receipt and cancel your reservation. Here are the details on how to make that happen at the Purrfect Day Cat Cafe! And yes! 100% of the adoption fees go to KHS. Kittens under 4 months are $120.00 plus sales tax. Kitties 4 months to just under 1 year are $90.00 plus sales tax, as well as a $10.50 license fee for those who reside in Jefferson County. Kitties 1 year to just under 6 years are $85.00 plus sales tax, as well as a license fee for those who reside in Jefferson County. All kitties over 4 months also have had their rabies vaccinations. As older kitties (past 6 years) come to be with us, we will post the fees for those sweet furry friends. All cats have been spayed/neutered, micro-chipped, received their flea and de-wormer treatments, and basic booster shots. The adoption price also includes a free 30 day offer of PetFirst pet insurance, a certificate for a free bag of Hill’s Science Diet food, plus a folder filled with KHS gift certificates and a $100 coupon book from Feeder’s Supply! When you visit, let our staff know you are actively looking to adopt. When you fall in love with a kitty, you will fill out the adoption survey. Then one of our amazing adoption supervisors will go over everything. If you’re approved, then they will do the contract and you will be a new cat parent! Can I adopt a cat from Purrfect Day Café? Oh yes, and we would love it if you did! We have matchmakers right here in the café that will help you find the right cat for you or your family and will walk you through the process. We follow the guidelines of the Kentucky Humane Society for all adoptions. We record all our adoptions and post them – our goal is to find great homes for all our furry friends so that we can foster more. Keep checking back to see the impact that you, our loyal guests, are making! What if I fall in love with a kitty, but need to think about it? A 24-hour hold may be placed on a cat with a $25 hold fee, paid by credit card, cash or check. This $25 hold fee is in addition to the pet’s adoption fee and is non-refundable should the hold party decide not to adopt. The $25 is a direct donation to the Kentucky Humane Society. Wherever their hearts are most content which is the beauty of our cafe. They have free reign of the cat room and their loft pad upstairs, but they typically settle down amongst a big furry puddle of cats. We are a foster home for all the cats until they find their furrever homes, but they have quite a spread while they are our guests here. During our normal business hours minimum age to visit our cat room is 6 years old. Our cats need to feel super secure in their environment and know that everybody that’s chilling with them is chill. We are in the process of planning “little ones” events where children can come and learn from our House Cat team how to safely interact with cats and kittens. Also be looking for special kiddo and kitty events coming soon. All of our guests in the cat room sign a waiver, and those under 18 need their parent to sign their waiver. Anyone between ages 6 and 13 must have a parent or guardian present. Thank you for your understanding. Want to bring the kiddos under the age of 6? No worries! Every TUESDAY and THURSDAY are our ALL AGES days for little ones! From 10 a.m. until 6 p.m., parents and guardians are welcome to make reservations for a child of any age. Visitation fees ($10 plus tax per person) apply for all ages, and children must be accompanied by an adult at all times. Oh yes, we do! We love to host parties of all kinds – birthdays, bachelorettes, wedding showers, baby showers, and more. We can offer packages that take care of all the details, or you can just rent the cat room and handle the details yourself, whichever you purrfer. I heard you have memberships? We do! We know that cat lovers want to visit often, and we want that,too. So, now you can become a member of our “Nine Lives Club” and get your ninth visit free! Just ask for a complimentary punch card when you come in for your visit! I’m interested in volunteering – do you have volunteers? We do, we love them, and we need them! Cats are cute, but as they say, “some animals have owners, cats have staff.” We need help caring for the cats and keeping them and their loft pad clean and cozy. We love having volunteers help out with the adoption process too. Or if you provide a unique business service you feel can benefit our concept, please feel free to approach us. We are passionate about people who are passionate about helping cats! OK, I want to work there! How do I do that? We are always looking for passionate people who want to share in the cause. This is much more than a job and much more than just playing with cats. We want to change the face of animal adoptions and homelessness in our community. Apply for one of our Top Cat – Managers, or House Cats – Hospitality specialists. Prior to opening our focus is building the best team we can. We sure hope to! When we open in Summer 2018, we hope to start adopting out cats immediately. We will post all of our adoptions so that you can see the impact you are having on their lives every day. Our goal is to adopt out over 600 cats in our first year. What is the Kentucky Humane Society (KHS)? 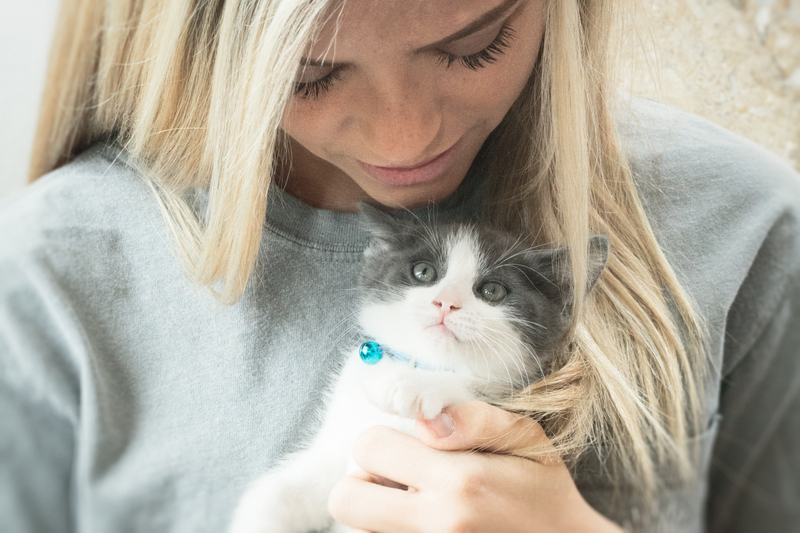 Located in Louisville, the Kentucky Humane Society is a local, nonprofit animal-welfare agency that is the state’s largest pet adoption agency. Each year, KHS finds loving homes for more than 6,000 cats, dogs and horses and provides over 9,000 affordable spay/neuter surgeries at its S.N.I.P. Clinic. All pets at the Kentucky Humane Society are spayed or neutered and micro-chipped and are up-to-date on vaccinations. If you are thinking about volunteering with them or donating, please visit www.kyhumane.org. Just click on reservations and we’ll walk you through the process. You’ll find a time and pay online. You’ll also sign a waiver online so that when you come in, you’ll be ready to grab something at our café and head into the cat room. You’ll probably want to arrive early so that you can watch through the huge plate glass while you wait for your turn. Group reservations are available for exclusive use of the cat room but must be made directly through our Purrty planners. If you have more than 8 people that you are with, we ask you to reserve a private cat room visit so that everyone can have a great experience in the cat room. I found a cat/need to give up my cat. Can I bring him/her to the cafe? We’re sorry, but we cannot accept cats at the cafe because we need to ensure that the cafe cats are not exposed to illnesses. We recommend you contact the Kentucky Humane Society’s free Pet Help Line, 502-509-4738, for assistance. Do I need to have a reservation to come to the cafe? Short answer is YES, we would highly recommend it because many times we are booked full, especially if you have a group. We do however gladly accept walk-ins, but we cannot guarantee access to the cat lounge without a reservation. All visitors must register online along with signing a release form. iPads are available for walk-ups. Where does my cat lounge visitation fee go? First of all, that money goes to keep the lights on, the heat/air going, the rent paid, and a cozy roof over our kitties’ heads. It also covers extra supplies that KHS cannot provide–kitty wipes, extra litter, food, treats, baking soda, first aid animal needs, eye drops, OTC meds, etc. And finally, it helps us to pay our hard-working staff who care for our kitties and serve our guests Kitty care is really expensive, so your money really helps us provide them with a comfy, beautiful place to stay. And remember–A portion of our other sales goes to KHS, plus 100% of the adoption fees are theirs as well! What else is there to do at the cafe? Lots! We will have a busy calendar of events every month following the initial launch of the cafe and will keep you posted. We run monthly special events and you don’t have to come for just the cats. Our unique loft-style wine gathering place allows you see the cats from almost anywhere while you enjoy beverages, work on your computer, or meet up with friends. Purr – Play – Sip. How do I adopt a cat from the cafe? What veterinary care have the cats in the cafe had? All of our cats are from the Kentucky Humane Society and have been spayed or neutered, received flea/tick prevention, are micro-chipped, and are up-to-date on vaccinations. Their health is our highest priority and the Kentucky Humane Society does a fantastic job. I promise we spoil them with love. How many people are in the cat room at one time? We allowing between 15-20 people in the cat room per hour, to minimize stress (for felines and humans), and give people an opportunity for quality time with the cats. This number is also based on the temperament of our residents and varies based on the season. We are easy to find. We are in the Highlands between Speed Avenue and Maryland Avenue, right next to the Fire station on Bardstown Road. There are 20 parking spots directly behind the shops at Deer Park. You can find additional parking in the Deer Park Baptist Church parking lot. Please sanitize your hands before entering and upon leaving the cat lounge. No outside kitties allowed. 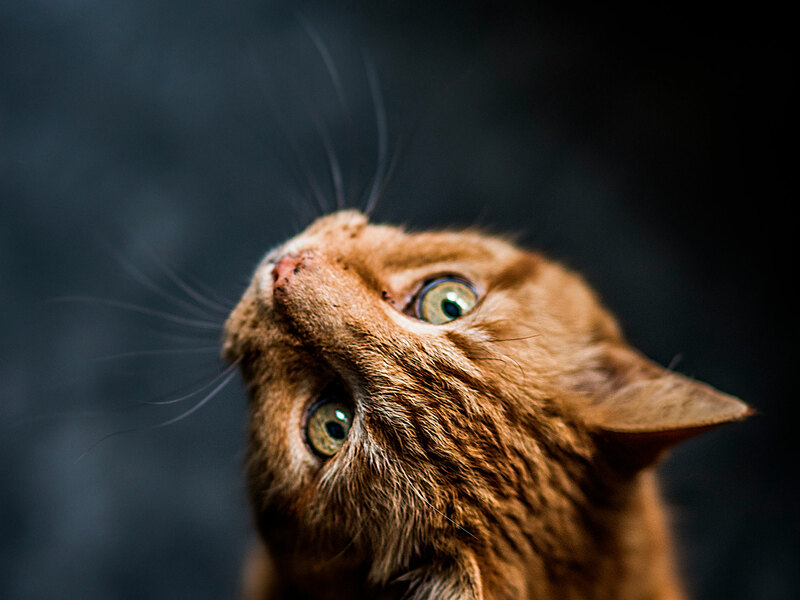 Our kitties are the stars (although we’re sure your cat is lovely)! NO human food is allowed in the cat lounge. And please no outside items such as catnip, laser pointers, treats, toys, etc. Don’t be sneaky now! Speaking of food, please do not disturb cats if they are eating or drinking. All beverages must be consumed completely while you are in the cat lounge. So purr, play, and sip that drink away, ya’ll! Visitors 6-13 years of age must be accompanied by adult. Only 2 children per each adult, please. Children under the age of 6 are welcome on our scheduled event days. Please check our website for dates and details. Children must be supervised at all times. Parents are responsible for enforcing the PDC Cat Lounge rules with their children during a visit. If deemed necessary, the PDC Staff will intervene to limit children’s interaction based on behavior. Please ask before petting a sleeping cat or picking up any cat. Feel free to ask a PDC Staff member if you’d like to hold a kitty. And if a cat jumps on your lap, congratulations! You are a chosen one! Please no FLASH photography. Our kitties love being celebrities, but don’t like the flash! DO feel free to post on all forms of social media. To truly enjoy your “expurrience,” we suggest you take time to just BE in the moment. If you see a cat you would like to adopt, please talk to our knowledgeable House Cats or PDC Volunteers. We can help you learn the personality and history of each of our kitties, and then hopefully start the adoption process for your new furry family member! Kitties are cute and cuddly, but they do have sharp claws and teeth. Sometimes they are a little moody. Please refer to our PDC posters on feline behaviors to better understand the complicated creature that is a cat. MEOW! Any individuals who are unable to comply with the rules will be asked to leave and will not receive a refund. But we know that’s not going to happen because our customers are PAWSOME!